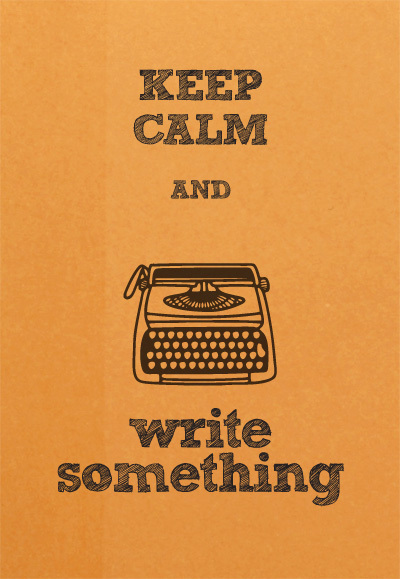 For the past two weeks I have been neglecting my fellow ROWers and instead focusing on the JuNoWriMo writing challenge. For those who don’t know what JuNoWriMo is, check out this post. Oh, and if you’re reading this because you’re looking for my awesome “Clear Your Shelf” Giveaway, you’ll need to look a little bit further: here. With JuNoWriMo, my goal is to write every day, even if I don’t make the 50,000-word goal. I hesitated a while before deciding to join in, for two reasons. First, I spend an average of 62 hours a week at work, which means that I only write between 30 minutes and an hour a day. Second, I am a slow writer: I cannot spill 1000 words onto a page in half an hour. So the prospect of having to write an average of 1667 words a day was quite frightening. But I still decided to do the challenge, as it is a great way to keep motivated and to interact with fellow writers. So how have I been doing, you ask? I have been writing every single day, which I am very happy about. My word count, however, has been lower than the required average of 1667 words a day. As of today my average is 1160 words a day. But I am interacting with fellow writers and keeping motivated (sprints on Twitter are especially good for me!). And it’s been working well so far. How have you been doing with your writing challenges? Do you have to fight procrastination? How do you do it? This entry was posted in A Round of Words in 80 Days, JuNoWriMo and tagged A Round of Words in 80 Days, About writing, JuNoWriMo, motivation, procrastination, ROW80, Shouldn't You Be Writing, writing, writing challenge, You Should Be Writing. I find by having a dvd playing, or a sports programme F1 or MotoGP playing on iplayer. Helps as I’m hearing something that isn’t new to me. It does help beat the boredom when I’m researching. But it has to be something I know the outcome of, otherwise I’ll get distracted. I write a lot of lists, of what I need to look up, maybe possible later scenes, characters/scenes, which I’ve written but don’t like, to deal with at a later time, that spring to mind as I’m writing. I write a lot of lists too, it does help with my writing process. And I play music while I write. Thanks for stopping by and happy writing! A couple of things I do/have done/am doing: First read/reread Steven Pressfield’s The War of Art. Second, use the Pomodoro technique, and third sign up for writing challenges and such. I was doing ROW80 a while ago and then I stopped. Having to check in with nothing done week after week gets you going. Using the Pomodoro technique does sound like good advice. Thanks for dropping by! Anyway, you’re doing great! Seriously, you’ve been able to write everyday and above 1k average. If you weren’t able to do that before and now can, that’s awesome! I wasn’t writing everyday before JuNoWriMo, so that has been a big step for me. 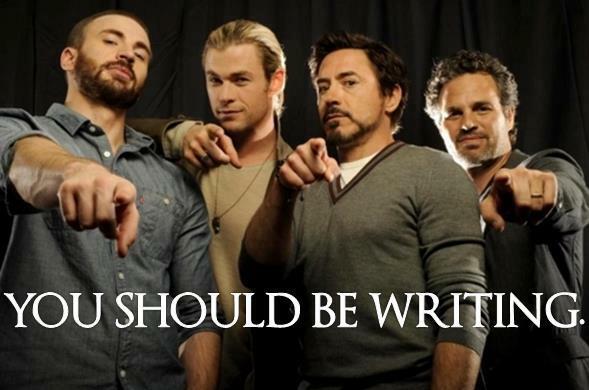 As for the Avengers, they can be distracting, lol. I found that the “target wordcount” feature on Scrivener helps. Even if it’s only a thousand words, turning that little bar from orange to green means I’ll have something to edit when I’m done. Writing every day is one of the best things, I think. I’ve been doing Camp NaNo too (only at 12k), but I’m falling behind because I’m trying to read, keep up with my blog, and work full time. I’m trying again in August, though. I have a bad habit of focusing on the same passage over and over again, and NaNo hasn’t broken me of that yet.